The most expensive tattoo in the world costs $924,000, and while most tattoos are drawn with ink, this expensive tattoo was created with diamonds – 612 diamond stones to be exact — with each weighing in at half a carat. Putting diamonds on someone’s skin is definitely not an easy job, it took time and patience. 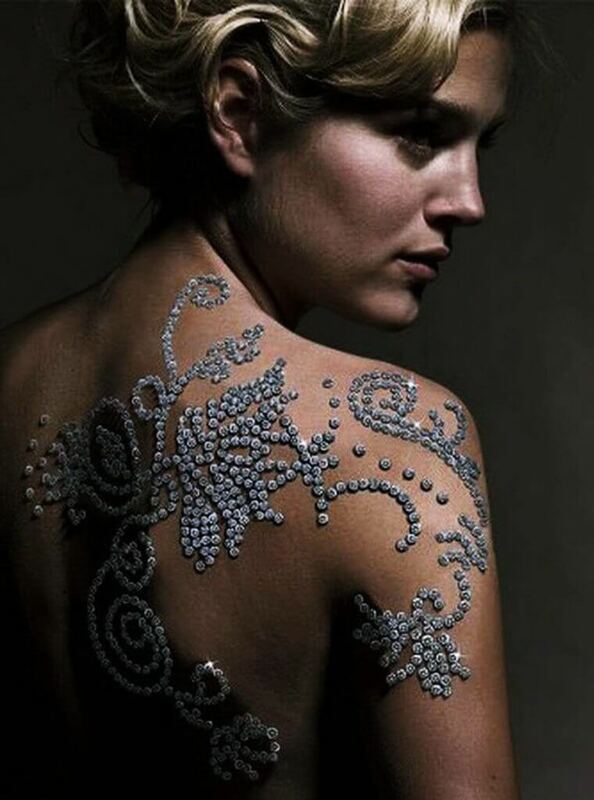 Minki, the model in the photo, had to endure over eight intense hours of diamond placement or “tattooing” as artists carefully placed each stone onto her skin with a water based adhesive. 612 stones had to be attached onto her skin one by one. Water adhesive was chosen for the world’s most expensive tattoo to ensure that the diamonds didn’t fall off but also didn’t get permanently attached to her skin. She certainly wasn’t going for a jog or taking a shower before her photo shoot. You wont find this tattoo in Loveland, Greeley, Fort Collins, Windsor, Longmont, Denver, Lakewood or Colorado Springs. You’re more likely to see tattoos that range from $100 – $2000 depending on the artist and size. Sometimes these tattoos don’t come out as you had intended and that’s where The Inks Shrinks come to your rescue. Located in Centerra in Loveland, LaserAll Laser Tattoo Removal Clinic are locally owned and operated by a Northern Colorado family. Now offering Laser Hair Removal with Zen Laser!! !